Up until about six months ago, you probably knew Michael Welch, vaguely, from…somewhere. “Joan of Arcadia,” maybe, or “The Riches?” “CSI?” “Star Trek?” “Law & Order?” The actor has, after all, been acting for a full ten of his 21 years, and he’s worked on everything from happy-family fare to edgy premium cable series to big-budget blockbusters. And yet, until recently Welch had enjoyed that fuzzy ubiquity that comes with years’ worth of small roles in film and on television. But then came Twilight. On November 17, 2008, The Greatest Love Story of Our Time opened in theaters everywhere, and Michael Welch instantly forsook “Where do I know him from?”—level fame for the kind of face recognition one gets when one is in a record-breaking, heartthrob-making, teen-obsession-for-the-ages kind of movie. True, Welch doesn’t get to engage in any Edward Cullen-style smoldering eye-gazing sessions—his character, Mike Newton, is known for his overly-friendly demeanor, pleasantly-popular social status, and hopelessly-enduring crush on Bella Swan (Need we say it? Kristen Stewart. )—but then, he’s also not getting hit by cars. We spoke with the young actor while he was on a brief hiatus between filming New Moon and the saga’s third installment, Eclipse, and he filled us in on a little behind-the-scenes gossip. LUCY MADISON: How’s it going? Where are you? Are you guys done filming New Moon? MICHAEL WELCH: I’m great! Right now I am in Silverlake, California. I’m outside and it’s a beautiful day. New Moon is, is all wrapped up, and we’re going to be doing Eclipse in August or September, I think, so we’re knocking them out pretty fast. LM: What are you doing in the meantime? MW: I’m actually leaving Los Angeles in two days to go to Lexington, Kentucky to work on a film called Unrequited. It’s a very intense little independent project, sort of a modern-day teen version of Misery. R-rated, though, so not for all of the Twilight fandom. LM: Speaking of which… When you went into Twilight, did you have any idea what a huge success it would become? MW: No, none of us had any clue that it would turn into—well, what it has. I originally went in auditioning for Edward, because that’s sort of how it works: Your representatives always send you out for the lead first, and then you work backwards from there. So then I auditioned for Eric, and then finally with Mike. I went in probably four or five times, but the last time we all read together it just clicked. It just felt right. LM: Had you read the books before you went in there? MW: No, I hadn’t. Frankly, I had never heard of the series—but I certainly did afterwards! I’m reading one book one at a time. LM: But don’t you want to know what happens? MW: I don’t like to get too ahead of the story. So far I’ve only read the first two. Although we’re going to be shooting the third one pretty soon, so I need to get on that. LM: But the third one is where the story starts to get really crazy. LM: Tell me about the new movie. I haven’t read the second book, but I assume there will be equally swoon-worthy material in this one? MW: The girls are going to melt for this second film. Edward recites Shakespeare; and obviously Jacob has totally transformed himself. He’s been working out like crazy. People are going to go nuts. LM: Was it very different filming the second film, in comparison to that first one, when none of you had any idea how big Twilight would become? MW: A lot had changed. By the time the second film rolled around, we all pretty much knew what we were getting ourselves into. There was a lot more money to put in to the film, and a lot more prep time, and, you know, there were a lot more fans. In Vancouver, where we shot the film, we tried really hard to keep it a secret where our locations were, but, you just couldn’t—all it took was one person to see, you know, Taylor or Kristen on the street and then that person would text message one of her friends and then, you know, ten minutes later there would be hundreds of people on set. It was crazy. LM: What about the paparazzi? Did you guys have to deal with that a lot? MW: [LAUGHS] It’s funny you ask; we did, actually. It was my first experience with the paparazzi. They even got us when we were coming off the plane. I learned that they can just take a situation and put it into any context. There was one point when Taylor was talking to some people and the paparazzi took a picture and then I saw it online with a caption underneath that was like, “Taylor Lautner takes the time to talk to his fans, while Michael Welch is a jerk and just sits in his trailer …” It was just so weird. It’s a fascinating process to be a part of something this big, and this popular, ‘cause it’s sort of a double-edged sword. But I mean, I certainly have nothing to complain about; I’m very grateful to be involved. LM: What’s happening with your character this time around? MW: Well, you know, Mike Newton doesn’t go through too much of a journey, I’ll be honest. 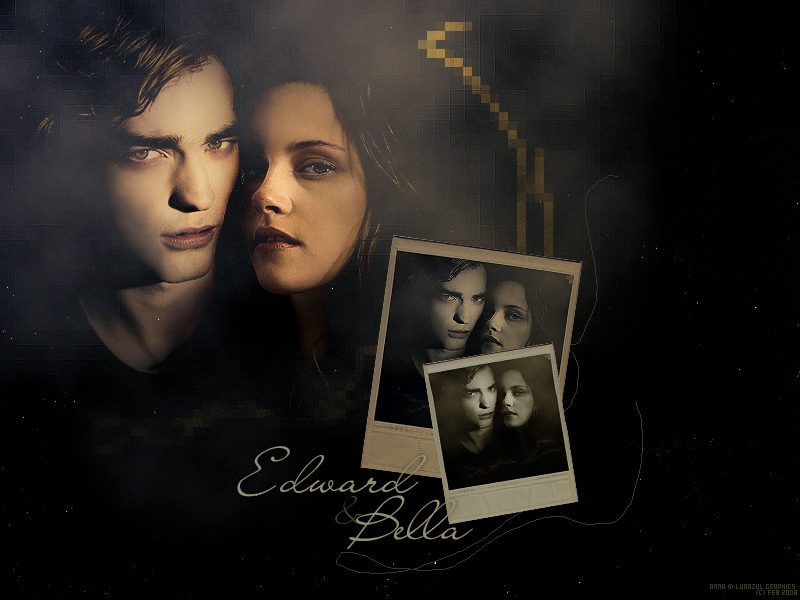 He sort of has his role to play in Bella’s life. In the movie it’s pretty much all about Bella, and how he relates with her, and him just being hopelessly in love—the character that is just really empathetic, and a little bit tragic in a lot of ways. LM: There’s so many of you guys. Are you all good friends? Do you spend a lot of time together off-set as well? MW: Yeah, absolutely. We try and hang out, get dinner, you know, see movies or whatever. I love my little group of high school kids, I think they’re just so fantastic and talented and great. You know, in most films you get to know people, you become really close, and then, after a month or so, chances are you will probably never see each other again. So I’m happy that I get to work with this particular group over the course of four films. This has been a journey for all of us; we’ve all been on this train together.